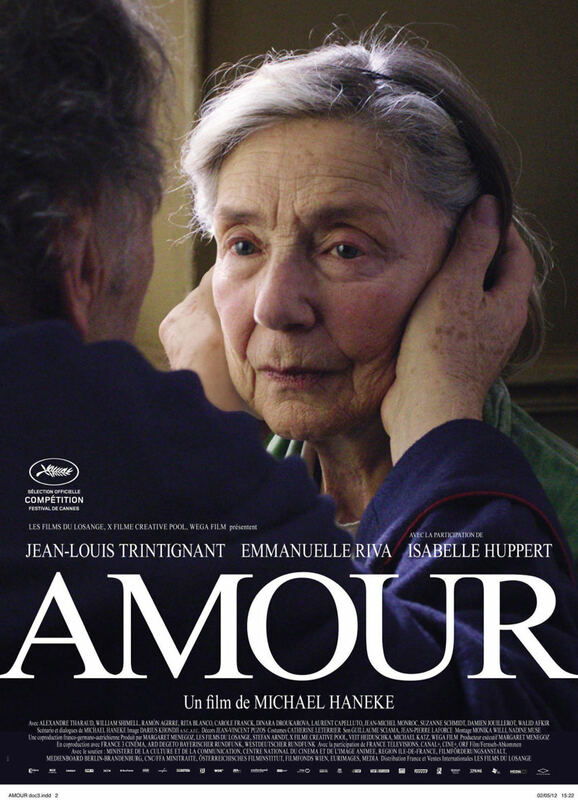 Amour DVD and Blu-ray release date was set for August 20, 2013. Georges and Anne are a longtime older couple, deeply in love and completely devoted to one another. Cultured music teachers, they have finally retired and are living a blissfully quiet and refined life together. One morning, Anne suffers an unusual stroke, leaving Georges to think she was merely playing a joke on him. Once she regains clarity, she is unable to lift her arm and he rushes her to the hospital. She goes into surgery but complications arise and she becomes paralyzed on her right side and confined to a wheelchair. She insists Georges promises not to send her into a nursing home or hospital and he agrees, caring for her at home. The stresses of being her caretaker become too much however, and Anne eventually expresses she wants to die. She suffers a second stroke that leaves her unable to speak and mentally defunct. Keeping his promise, Georges eventually smothers his wife with a pillow.